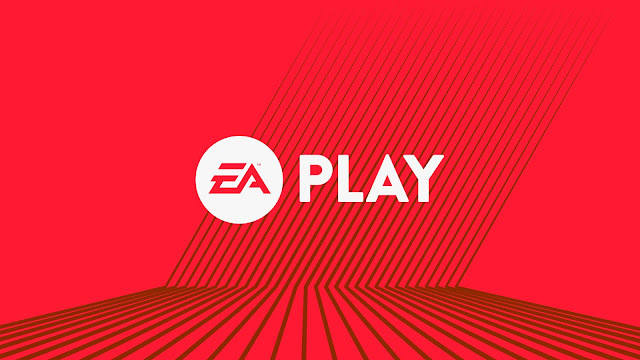 Last night saw EA kicking E3 off with their own show, with EA play giving them a chance to show what they have in store for gamers for the next year and a bit. A few games stood out for me which we will get into a bit. But first I'm going to get the sports games out the way, as those didn't really give much away in terms of looks but a few new details on what to expect did. I will link to trailers in the post rather than sticking them all up on the site. To view them just click the CLICK ME part after I speak about each game. Madden 18 will feature a FIFA like Journey mode this year, with the story for this being called Longshot. Playing the game as Devin Wade, much like the Journey, the goal is taking your guy to the heights of stardom after a three-year break from the game (Official website doesn't cover why the long break away). If it gives me a reason to check out the game not being an American Football fan, then I'm all for it. CLICK ME. FIFA 18, well nothing really happened in truth, other than a bit more talk about Ronaldo and how this is, of course, going to be a best FIFA game to date. We also see Alex Hunter return in yet another Journey mode for FIFA 18 (Release Date - Sep 29th). Two trailers here, one for gameplay (more like that fancy replay looking gameplay and not actual stuff) CLICK ME, and a trailer Showing off the second Journey CLICK ME. Now for a game that I'm certainly interested in, that game being Need for Speed Payback. Looking like the standard Need for Speed with the Fast & Furious turned up to a 10, the gameplay that was shown also had shades of Burnout too. CLICK ME. A Way Out is a game from the guy and team behind a game I loved, Brothers: A Tale Of Two Sons. A Way Out looks to offer a unique offline and online co-op only experience, with you and a friend/random online person in control of two characters. Certainly, one to watch before its release in early 2018. CLICK ME FOR THE REVEAL. CLICK ME FOR THE GAMEPLAY TRAILER. Then we had NBA LIVE 18. I got nothing. Well, a free demo is coming in August, that's about it. CLICK ME. Then Battlefront 2 took over for the rest of the show for what felt like an eternity. Offering a story mode around this time around, I was looking forward to seeing a bit more about that, but EA went with a bucketload of MP stuff. Looks good, but I'm still worried that things may be short-lived much like the first game. Fingers crossed it isn't. I'm sure we will see more of this game at the Sony brief. CLICK ME. Battlefield 1 DLC. CLICK ME. Now we did get a tease for the Xbox brief too, with Bioware having a new game called Anthem set be shown later this evening. Watching IGN last night for the EA show, their guys seem to believe it's a Destiny like game. I certainly think it will be something that is being used to showcase the power of Scorpio, but I guess we find out all the facts later tonight. Set for release of Fall 2018 CLICK ME FOR THE SHORT TEASE. Thanks for putting all the info in one place for us, mate! I wasn't planning to watch the EA part but ended up doing so. There wasn't really much I was interested in. "A Way Out" might be AMAZING but I'm much more of a single player guy and the Bioware thing (ADVENT? Previously Project DYLAN?) looked good but is probably going to be a "Destiny" type thing. Hopefully, The really good stuff will come tonight! Damnit,Bioware game is ANTHEM. "Advent" are the baddies from Xcom2! Playing it recently and got confused!